As the 2011-2012 mens college basketball season is quickly approaching I’m starting to think more and more of which players I, and the rest of the world, should watch for. So far I’ve only taken a look at the Big Ten and have come up with the top 21 players I think will have the biggest impacts for their teams. Obviously the #1 player I believe will have the biggest impact and is the guy everyone should pay the most attention to. 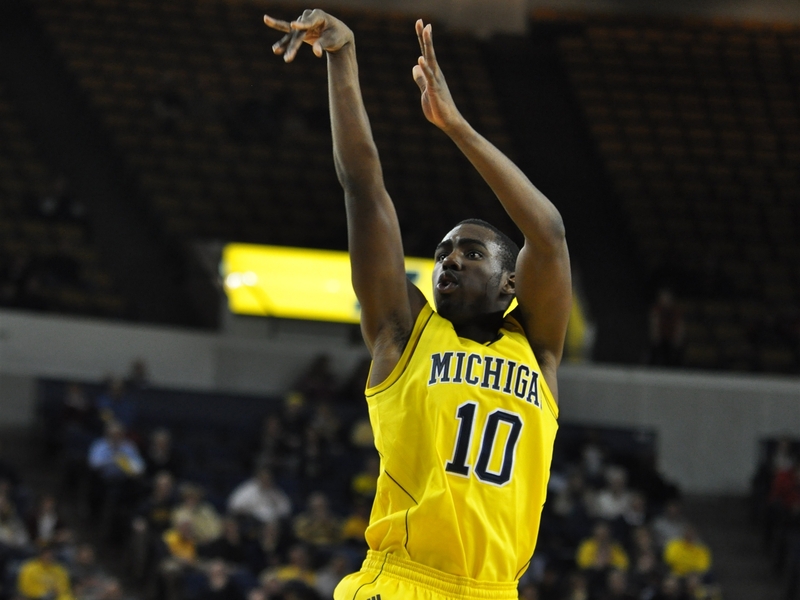 Tim Hardaway Jr. I feel will have the biggest impact for his team in the Big Ten. He’s young and committed to being a star. I foresee his near 14 ppg last season to rise significantly as he’ll have to take on more of a scoring load for the Wolverines. When this starts happening I see teams keying him and doing their best to take away as many scoring opportunities from him as possible forcing him to distribute the ball to his teammate Zach Novak. As you can see Novak basically shot 39% from behind the arc for Michigan last season. That’s one heck of an average and if he can keep that up it’ll be a great season for the Wolverines and their fans. Jared Sullinger was possibly the best player in the Big Ten last season. He’s unarguably the best freshman in the Big Ten. He’s back for round two with the Buckeyes and I’m interested to see how he responds to such a successful first season with the Buckeyes. He averaged a double-double last season and I don’t see that to change much. However, his points per game may drop a bit for I see teams working on doubling him up when he gets the ball down low. The only thing that worries me about Sullinger is his Field Goal percentage. For a big man he shoots just over 50%. This is absolutely something that he needs to improve. 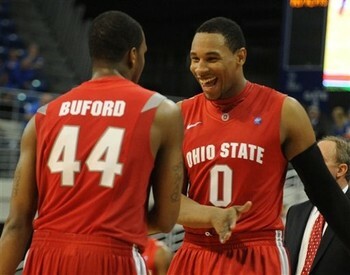 Ohio State also has 5th year senior William Buford returning to help lead the Buckeyes. With the anticipation of double teams on Sullinger I see Buford’s role in scoring to go up. Aaron Craft, the Buckeyes point guard, will have many options, as he did last season, to distribute the ball to. Having these two guys back increases your chances to succeed significantly. 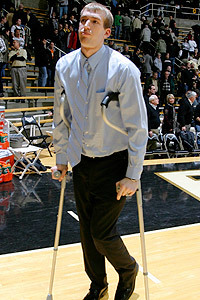 Robbie Hummel is undoubtedly a huge key to success for the Boilermakers this season. When thinking back to last season if Robbie Hummel wouldn’t have gotten hurt I think the Big Ten would have turned out quite differently and Purdue would have made the Final Four. It will definitely be interesting to see how Robbie comes out of his second tear to his ACL (Anterior Cruciate Ligament). The Boilermakers will be leaning on his leadership and abilities no doubt. Lewis Jackson also surprised many critics last season with his terrific play. He took much better care of the ball than in past years and also became a well accepted 3rd/4th option scorer. I only see Jackson picking up where he left off and his skills and knowledge of the game are vital for the Boilermakers to have success this upcoming season. As for Jacob Lawson, it’s been rumored that he’ll be the starting at center for the Boilermakers. For those unaware Lawson too is coming off a knee injury he suffered last season (high school). Lawson was the top ranked recruit Purdue has coming in and big things are expected out of him early. Minnesota may struggle this season with the loss of Hofbarber. With this well known fact to Tubby Smith and his team they’ll need both Mbakwe and Sampson III to step up big and take not only huge leadership roles but they’ll both need to take on an extra emphasis on scoring. These two are no doubt impact players and should be fun to watch this year. With Minnesota’s home court advantage it should be very interesting to see how these two can control games and put up big numbers to lead their Golden Gophers to victories. The Wisconsin Badgers are losing some key players from last season. Mainly Jon Leuer. Jordan Taylor posted an impressive 18 ppg last season at the point guard position. It’s going to be very interesting to see how he responds to losing two other top 5 scores from last season’s squad. Taylor has the ability to get through the lane and to the bucket. He also has the finishing ability to drive opposing coaches crazy. It’s no secret that Mike Bruesewitz is going to have to step his game up to support Taylor and Bo Ryan in hopes of obtaining the Big Ten Title and a deep run into the NCAA Tournament. Bruesewitz is mostly known as a hustle player and his determination and hustle helps boost his value for the Badgers. If he can improve his game and mix his improved skills with his hustle and determination he’ll be a much more valuable asset to Bo Ryan and his teammates. Cody Zeller is one of the highest, top-ranked recruits for this incoming freshman class. His impact on the Hoosiers could play a huge factor on how well the Hoosiers do this season. Watford averaged 16 ppg and Verdell averaged 12.5 ppg. If Zeller is even half the player people expect him to be I look for these numbers to drop just a bit. However, I think Watford’s rebounds per game need to improve if the Hoosiers want consistent success, especially in Big Ten play, this season. Verdell’s shooting percentage as a guard alarms me. His low percentage explains all too well IU’s recent lack of success. If Zeller plays halfway up to expectations, Watford increases his boards per game, and Jones III increases his shooting percentage by taking better shots and getting to the basketball Indiana could pull off one of the biggest turn a rounds in any program’s history. The Fighting Illini lost a bunch of valuable assets from last year’s team. Brandon Paul and D.J. Richardson both have the ability to step their game up to the point where they lead Illinois to a very successful season. Both of these players being guards they’ll have to up their rebounds per game to help the weak inside game of this team. These two players will also be forced to pick up the scoring responsibilities if they want team success this year. One place to start, improve free throw shooting. Shooting 75% from the charity stripe isn’t bad but both players need to step it up a few notches and take advantage of the opportunities presented to them at the free throw line. As in the recent past Northwestern’s success depends on the play of John Shurna. Shurna has the ability to light up the score board from behind the arc. If he gets hot he’s almost unstoppable. His field goal and three point percentages are both higher than 40% which is every coaches dream. If Shurna and the Wildcats can catch a few more breaks they’ll have a chance to surprise many teams in the Big Ten this season. Shurna, if healthy, is always a ton of fun to watch and I’ll be keeping my eyes out for him throughout the season. Look for Shurna to turn to his shooting abilities to lead the Wildcats to some interesting upsets. With Michigan State losing most of its scoring from last season the Spartans are going to have to rely on Draymond Green to step up and take on the scoring load. 17.6 points per game is a lot but he, and the Spartans, are going to need more. Michigan States Success depends on Green’s success. These three teams need these players to step up and lead them on their journey this upcoming season. In order for these teams to have any success they each need their main/star player to have strong seasons in hopes of making it into the pool for the NCAA Tournament. For your liking to compare these players in their play last year (or otherwise specified). Ohio State has hands down been the most consistent and dominating team all season. Only slipping up to two tough Big Ten teams during the regular season. Both losses were on the road at Wisconsin and at Purdue. However, when they played these two teams at home both margins of victories were 20+ points. That’s impressive. David Lighty and Jon Diebler have had the hot shooting hands since the Big Ten tournament. 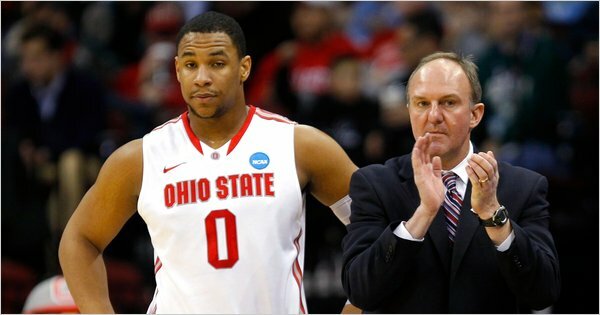 With Aaron Craft at the point distributing the ball to these two guys and Jared Sullinger Ohio State is a force to be reckoned with. There’s not much that hasn’t been said about the Buckeyes this year and I have to agree with all that’s been said. I dogged these guys late in December saying they would fall off once Big Ten play started but they shut me up quickly. I have nothing but respect for this team. Sullinger is leading the team with 17.2 ppg as a true freshman on the Big Ten regular season Champion team and the Big Ten Conference tournament Championship team. The kid is a monster. Just like Kansas he has a great supporting cast in William Buford, second on the team in scoring averaging 14.4 ppg. I’ve already mentioned the likes of Jon Diebler and the hot hand of David Lighty. These guys can score and shoot lights out on any given night. I don’t have the numbers and couldn’t find them but I would guess they have the best shooting percentage of any team remaining during tournament play. Not only can these guys score but they get after it on the defensive end. Good old fashioned Big Ten basketball. You have to love it. They’re scrappy and in your face. Their hardwork and focus is a complement to their talent. I’ve always lived by the saying that, “Hardwork beats talent when talent doesn’t work hard”. Well good luck beating talent that does work hard. Thad Matta has gotten his team to hit on every cylinder so far in this year’s tournament (all year for that matter) and I expect them to continue to do so. 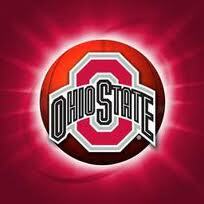 I don’t see Kentucky being able to pull of the upset but they’ll give the bordering Buckeyes a good game. To be honest I don’t see Marquette or UNC giving Ohio State much of a fight either. 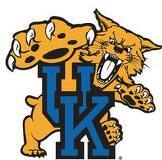 Once Ohio State gets by Kentucky it should be an easy Elite 8 game to advance to the Final Four. Something to keep in mind. Back in December I heard some “experts” talking about how Sullinger has given his word that he’ll play at least 2 seasons at Ohio State. If he gets to the title game and even wins a national championship it could be the end of a beautiful relationship between Sullinger and the Buckeyes. Just something to keep in mind. To wrap it up I have my Final Four looking like this. Ohio State meets the Uconn Huskies in Houston while the Kansas Jayhawks face off with the Butler Bulldogs! There you have it folks. I hope my picks have peaked your interest and I thank you for reading my posts! Uconn is coach by Jim Calhoun. You cannot argue that Calhoun isn’t a great coach. He’s been in the tournament multiple times and has won a national championship. The point is Calhoun knows how to coach in big games and in close games. Plus it always helps to have one of the Player of the Year nominees on your squad. Kemba is in contention for the Naismith Award (Player of the Year). 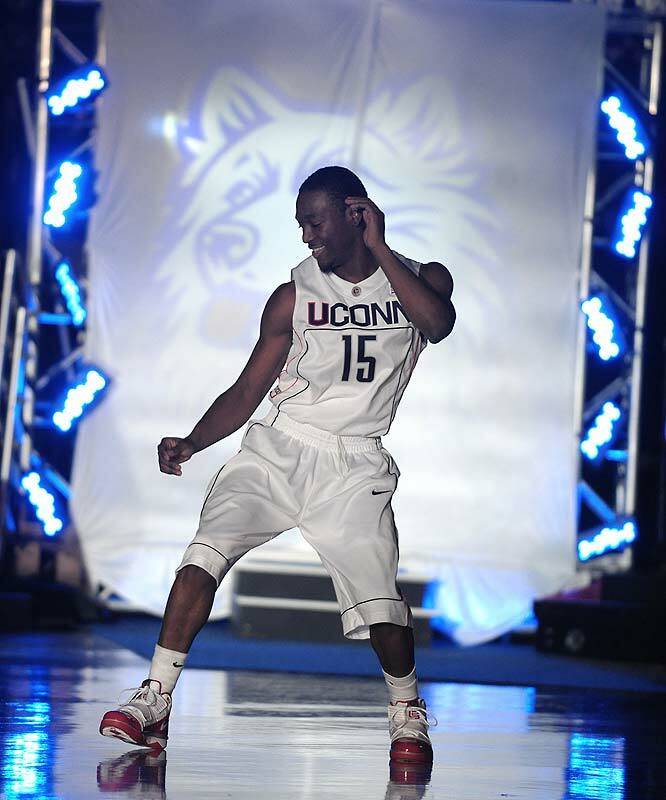 His moves will be needed to lead the Huskies to a hopeful Final Four run. I’ve said it all year that I like Kemba Walker. Personally I can’t think of another player that I’ve ever seen. He’s the all around player that can take over games and put the team on his back. Kemba is 1st on his team in points (23.5) and assists (4.3) per game and second in rebounds per game (5.3). To me that’s amazing. It’s really good for a guard to be in the top 2 for points and assists but when you’re guard can also get up there in rebounds too your ball club will be given an advantage. Walker has that uncanny ability to find the ball. I remember watching the Pittsburgh vs. Uconn game on the Dec. 27th 2010 and even though Uconn lost I knew Uconn was going to be a Final Four team. I just remember Kemba Walker making plays that no other player was making at the time (Jared Sullinger was making post player plays like none other, can’t compare the two). Personally, I think Kemba is damn near impossible to stop and nobody can stop him besides himself at the college level. Not only have the Huskies been through the brutal Big East schedule this season but they managed to win the Big East Tournament. All 9 of Uconn’s losses came during Big East play (regular season obviously). The Huskies are currently on a 7 game winning streak including 4 wins against teams ranked in the top 25! If that’s not being hot at the right time I’m not really sure what is. I can’t forget to mention the fact that I don’t think San Diego State is very good. Giving them a 2 seed was very very generous by the Selection Committee and they had a close game from a Temple Owls team I hadn’t heard too much about. I know it’s March and should expect close games but I thought they played sloppy against Temple. I’m still not convinced SDSU is an Elite 8 or Final Four team. I like Uconn in this match up, I think the Huskies will win big! If you’ve been following my blog the past few days you’ll know that I’m on a streak of writing about an episode of College Basketball Final. They ran through the 5 teams that have met the criteria of a championship caliber team. 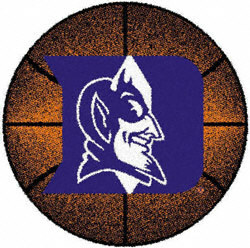 These 5 teams are the Duke Blue Devils, Pittsburgh Panthers, Kansas Jayhawks, Ohio State Buckeyes, and the Purdue Boilermakers. In this post you’ve probably already guessed that I’ll be writing about Ohio State given the title. 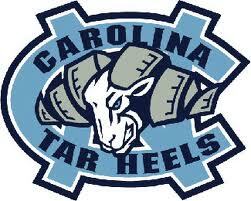 First I’ll review the criteria that has been met the past 10 Mens College Basketball National Champions. As you may also have guessed Ohio State met all three of these criteria making them 1 of 5 that have the best shot of winning the National Championship. I would be an idiot to say Ohio State isn’t a good team (although I did say that before they got into conference play. I was obviously wrong). In fact I think they’ll get to the Championship Game. One reason is the simple and undeniable fact that Jared Sullinger gets away with tons of fouls on the offensive end of the floor. I haven’t watched a guy get away so many hooks (hooking your elbow around your defender giving you leverage as you push the defender clear of your desired path). If for some reason the referees decide to start making that call I think Ohio State will face some bumps in the road. Do I still think they’ll make it to the Championship game? Yes, I do. That’s just my knock against the NCAA/Big Ten referees not making the right calls. Sullinger is a very talented athlete and plays with an extremely gifted supporting cast. Thad Matta is also a very intelligent coach. Ohio State only has 2 losses this season, #14 Wisconsin and #11 Purdue (All three of these teams are currently ranked in the top 10; OSU=1, Purdue=6, Wisconsin=10). I do not blame either loss on Ohio State, both games were on the road. Not many teams can go into the Kohl Center in Madison, Wisconsin and pull off a win. Playing Purdue in Mackey Arena is one of the toughest things to do as well, Purdue and Wisconsin both went undefeated at home this year too. Ohio State currently ranks 20th in the nation in scoring (77.4ppg), 19th in assists/game (16.2), 3rd in Field Goal % (.495), and 216th in rebounds/game (34.1). Some might look at the 216th in rebounds but look at how many they average. 34 boards a game isn’t too bad, it’s actually pretty good. As of right now I have Ohio State losing to Kansas in the Title Game.